I had an email request for kale mamoe (lamb curry) but unfortunately, I can't get mamoe (lamb) here where I am. But since that email (all of five days ago), I've had kale (curry) on the brain. 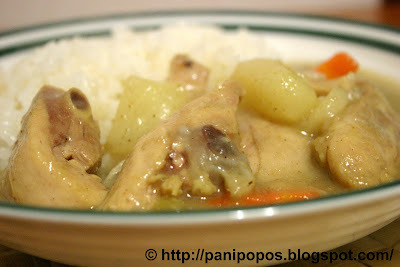 One might ask, that with such a wide range of curries available the world over, what's so special about Samoan curry? Because it's not an overtly spicy dish, nor does it incorporate any unique Samoan ingredients. I mean, really, kale just wouldn't make the grade in a "Best International Curry" competition. The truth is, kale is special because it's taste is so unspecial. That is, it's a mild dish, so no "Fire in the Hole!" warnings needed. 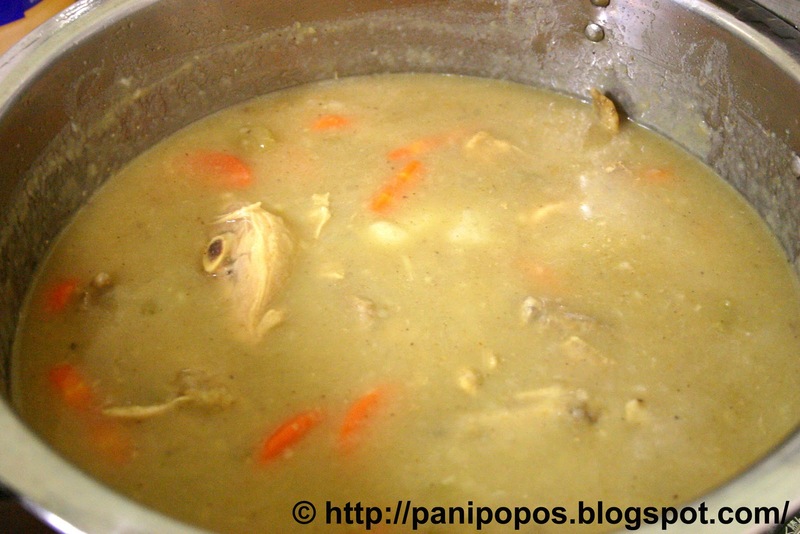 It's non-intrusive, so it blends in well with other Samoan dishes, such as sapasui and fa'alifu. 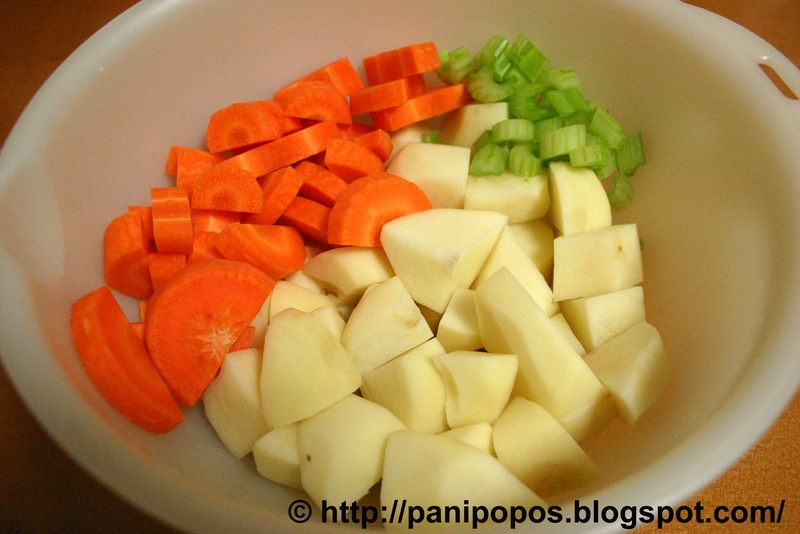 And it's undistinctive taste lends itself well to practically any meat or vege combo your heart desires. Don't get me wrong. I think kale is absolutely delicious, but if you start telling people that's it's "curry" then they have these preconceived notions of what it should taste like. Spicy, piquant, exotic, aromatic, tangy...and Samoan kale is none of those things. Think of it more like a light curry-flavoured sauce, a kind of mildly spiced gravy, or a masala-laced stew. 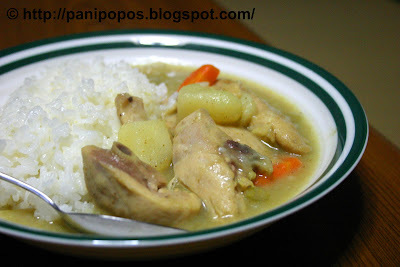 i have to admit, i've never made curry chicken or curry anything for that matter. that's not to say i don't like it, i in fact, love it! especially the way my mom makes it:) but, maybe i ought to try it out and see what my husband and kids think! Samoan curry is so mild that curry connoisseurs are usually disappointed...but tell you what, this makes it a great dish for serving to kids...hope you try it! 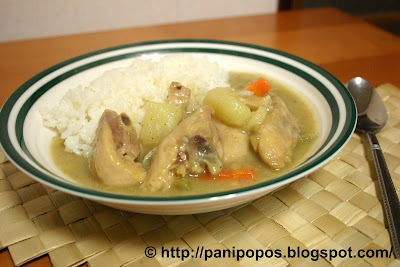 So glad to have found your youtube video and blogspot to learn how to cook Samoan dishes. Now I can learn how to fix Samoan food like my parents tried to teach me but for some reason I didn't get enough practice. Thank you! You're welcome...This is a labour of love for me so please enjoy...happy cooking! Hi Joseph, try multiplying the recipe by six, but adjust water so it's sufficient to cover the chicken, but not drown it...good luck! Talofa! This is an awesome site. Thank you for sharing your labour of love. Just wanted to mention that my dad added apple to his kale one day after a bumper apple season meant we had apples galore. And it tasted great! We add it to all our Samoan kales now. Keep up the great work. Soifua ia! Apples in curry - Delicious!...thanks for the wonderful tip and for visiting my blog...Cheers! you mentioned coconut milk. when is the coconut milk added and with what? is it just coconut milk itself or with flour? i've never tried it before but i will now. Substitute up to half the water with coconut milk...no flour...good luck! I made this last night, but unfortunately didn't come out well. I'm trying to make this curry that this huge islander guy at the Avondale flea market makes. He sells it with sapasui, rice and sometimes taro on the side. It's exactly how I like it. Good point! I used Sharwood's Hot Curry Powder, made up of Coriander, Turmeric, Fenugreek, Cumin (9%), Salt, Mustard Powder, Rice Flour, Paprika, Fennel (3%), Garlic Powder, Onion Powder, Cinnamon, Chilli (2%), Clove, Ginger, Pepper, Bay Leaf, Cardamom, Nutmeg, and Spice Extract...And yes, you can most definitely use your chicken drumsticks...Good luck! Hi Martha, yes PLEASE make Samoan food for your daughter and anyone else that enjoys to try great-tasting food...Good luck! Hi Gizzygal, I've never been to the Avondale fleamarket so not familiar with that curry, but if any of my readers know the recipe, please share! i just want to know if except chicken, can you add lamb instead? Hi, sure you can substitute lamb...adjust simmering time for cut/size of meat to get it nice and tender...good luck! Just made this today and this was a big hit. Made it exactly what the recipe calls for except I used chicken thighs. Thanks for the recipe. I grew up with kale moa for dinner almost every night. Thank you so much for your comment...Glad it does justice to your childhood memories...Malo! Today was my first time making kale moa and it turned out GREAT! I have never made kale anything so I was even impressed with myself with how it turned out. Thank you for posting your videos! They are very easy and fun to follow! Thanks Annieluvsfaausi. Happy it worked out for you. I'll be posting more vdeos once my camera is replaced. Cheers! The last time i had this was back at home with my parents. I am definitely going to try this. I am hooked on your blog. Great job on every post! Thanks Bruce. Good luck with your kale! Will you be posting your recipes again? Please put your kale recipe up again. 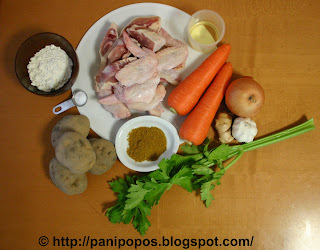 I just discovered your site and am excited about making some traditional samoan food. I am a paalagi and my wife is a samoan. I know she will be very suprised when i prepare a samoan dish for her. Thanks for the inspiration. I'm kind of busy working on other things right now Kenisi, but there are a lot of other recipes up on this site that I know your wife will enjoy. Happy cooking! Hi Melissa, I have removed some recipes to rework them and haven't yet found time to do this. Luckily one of my brother-in-laws is a champion at making this so I'm hoping to catch him some day and learn his secrets. Until then, your patience is appreciated. Talofa! I am palagi as well, but I lived in Hawaii for a few years and spent a lot of time with Samoans. I grew to love them, their culture, and their food. I have since moved back to the mainland and I miss their food so much. It's really hard to find recipes online :/ When you can find the time please repost your recipes (specifically your kale moa and sapasui recipes), I'll even take the old recipes :) I'm desperate for some good poly food, haha. Fa'amolemole and Fa'afetai tele lava!